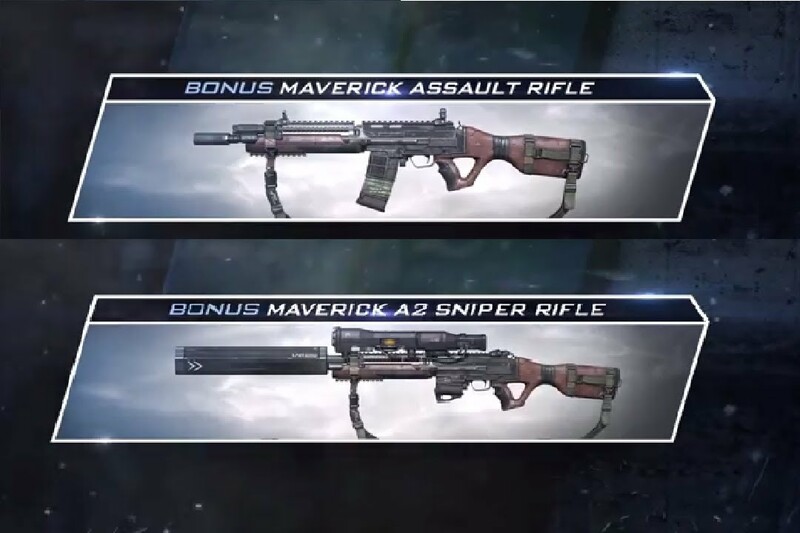 Not sure if there's already a gun weapon like this, but what about a sniper rifle, preferably one that looks similar to a maverick a-2 from call of duty: ghosts. You could also make the regular maverick assault rifle. That'd be awesome. Oh and by the way, where do post suggestion shop pictures or something like that? I wish you guys could make this one. I really like the show RWBY and I've always wanted her scythe in game. Description : It's a Scythe that is also a Bolt-action Sniper rifle and it's Red like Roses. Little Red approves! I am Antisam in AQW and on Twitter. This is crazy idea, i suggestion phone weapon XD. Description of the Appearance: A)Fur Tussles On the Back of the Blade, and on the pommel. B)Dark Wooden Hilt. C)Blade would look good Grey,With the Vine Pattern In graved. Or Black With the Pattern in "glowing Colors" ( Blue is The best for this option in my opinion). 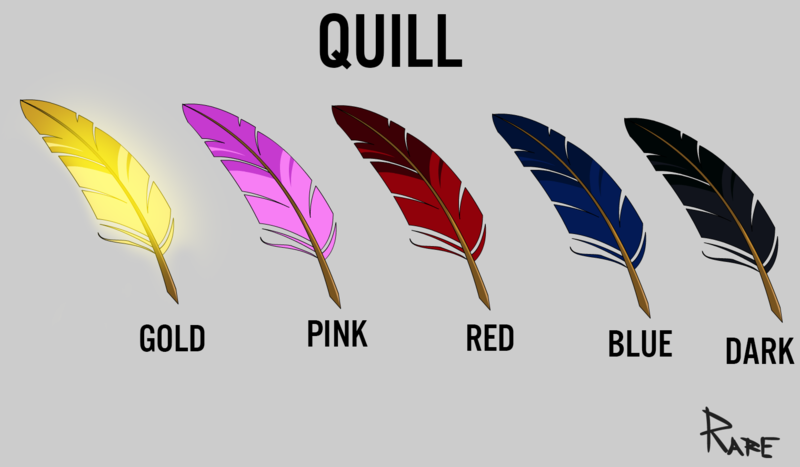 C.2)Color Custom would Be another option for it. D) The Shoulder (part that Connects the Blades to the Handle) and the Pommel Would look best in Black with The Grey Option for the Blade, Or a Dark Brass Color For the black Blade option. Side Notes: Keres ; Were Spirits of Violent Death in Greek Mythology, Who Collected Souls From the Battlefield and From Home. Description: Through This Axe You Can Still Here the cry of Those who Fell in the midst of Battle. Description of appearance:A) Pure Black Blade , On the Back end of the Blade is the First Letter of Thanatos's Name in The Greek Alphabet. B)Handle is Pure Black as well With a Ribbon tied around it, with some parts slightly loosened ( this can be any color. in Preference to the Artist.) C) The Shoulder Color is can also be left up too the Artists Preference. Description: Within This Blade Remain the memories of every Soul Thanatos has collected Through the Eons, Some Good. Most Are Not. Side Notes: Thanatos was the God of Peaceful Death , who took the souls of those who died outside of battle or in their sleep. He was also know for personally escorting the Children who died too their final resting place. Description of appearance: A) Long, Silver Blade, With a Vine Pattern and "Thanatos" Written in Greek.B) Handle is Pure black with Leather Wraps Around it up too, and Over The Guard. Description: This Blade was Forged From the Fury of All those who never Grew to be glorious in Battle. It has But one Purpose, To slay Death Himself. Can you guys tell Alina to make the SIZE of Infernal Caladbolg Daggers BIG like the Caladbolg (Daggers)? Once an axe used for light, now infested with darkness. Its once constant consumption of Deathknight souls seeps the weight of despair from within, making it unwieldy to the faithless and the weak. Created by smiths of the "Toxic Gem" Guild and enchanted by Nulgath. One of his most powerful creations. Equip this and embrace the TOXIC SIDE! My suggestions for the Nation, two farmable blades. Tendou ,please see this. Description: These mysterious, living blades has destroyed innumerable lives. You know of only one who has had the power to wield it, the old one. And now you may wield their power and live to tell about it… for now. Notes: Starts Sword of Nulgath's Quests when clicked on. 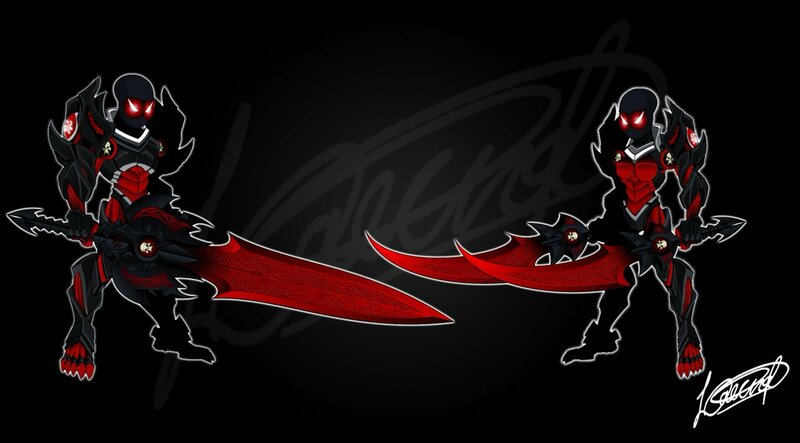 Description: Nulgath bends these swords giving you dominion over their auras. Blades, eyes, glows and accent colors are Color Custom to Accessory Color. Description: Victory is yours! And so are Groglurk's blades. These sinister blades hold immense dark energy. Inscription on the blades translates to "CAUTIONPOINTYEND" while the ones on the sides, spikes and hilts translates to "MILTONIUS", "M" AND "MP" respectively. Description: Victory is yours! And so are Groglurk's blades… but they have been tainted by DARKNESS! Description: Once an unlucky soul is absorbed in these swords, their personalities and memories from their past lives change depending on their nature. These ones corrupt the soul by twisting it into the opposite of who they are. Inscription on the blade translates to "MILTONIUS" (Center), and "SOUL WEAVER" x2 (Tip). 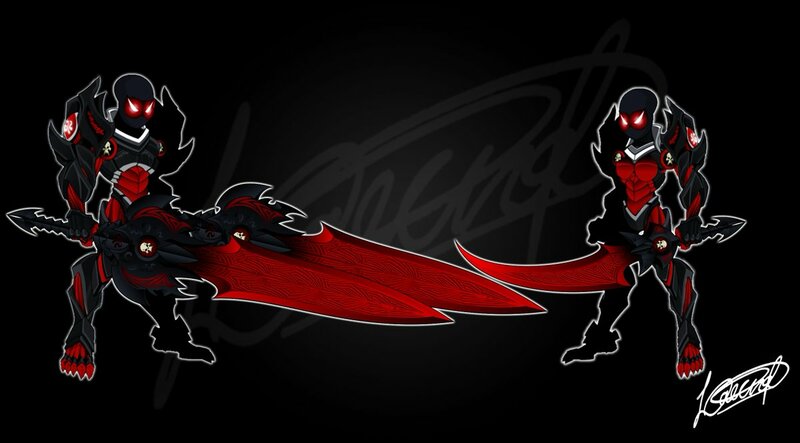 Description: Nulgath twists the weapon parasite to shape this vile swords. Eyes, gems and glows are Color Custom to Accessory Color. 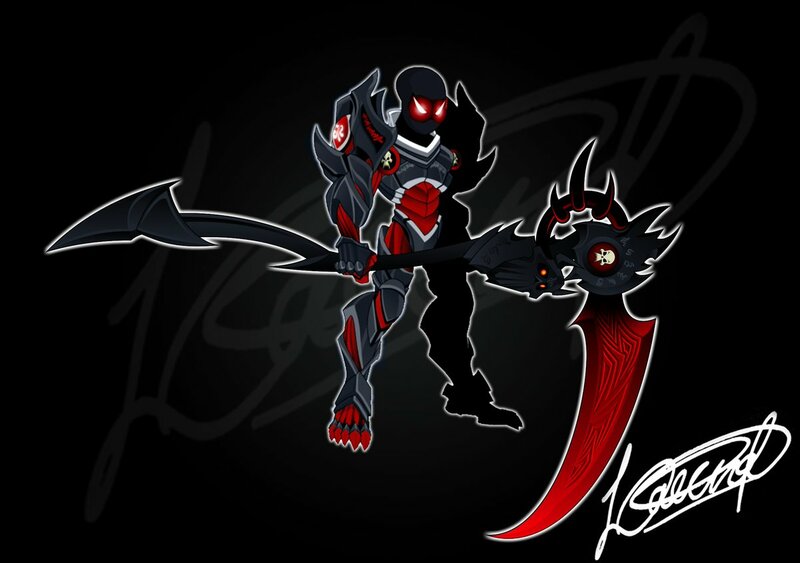 Description: Nulgath says these weapons can kill your enemy from the inside out. There's no cure for the vile toxins these blades hold. Description: These swords are so bright, I gotta wear shades. When equipped, this item provides a 5% bonus to Class Points. Blades and Eyes Glow are Color Custom to Accessory Color. Description: This is what happens when Beleen gets a hold of Nulgath…no one is safe. Description: You now wield the powerful weapons of the Tengu teeming with Yokai magic. Notes: DaiTengu (大天狗) means "Great Heavenly Dog" in Japanese. Description: Soul-sucking swords a reward for those who have served well under their master, Nulgath, and must promise to continue doing so for such ghastly arsenal to reach their true potential. Color Custom to Accessory Color. 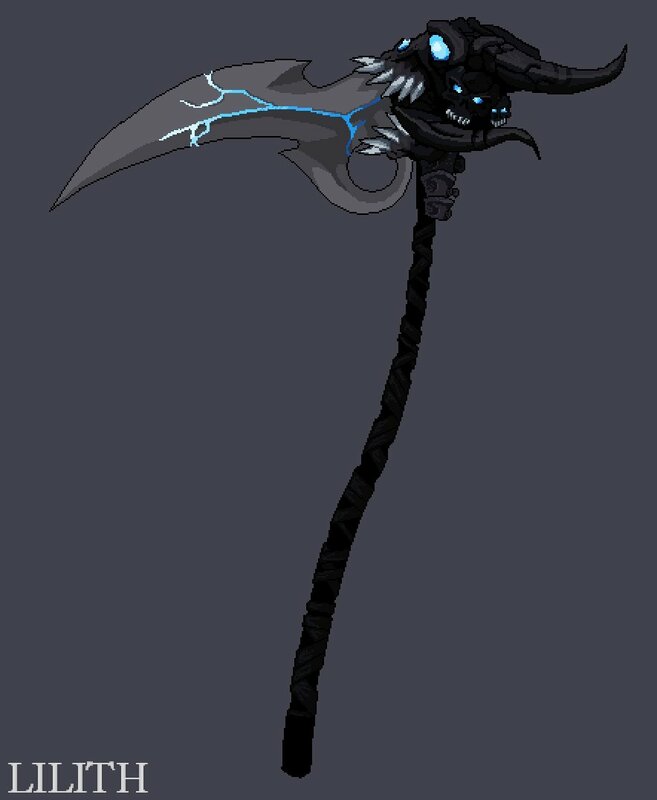 My item suggestion for Dage birthday. My items suggestion for Carnaval events. Hey, guys. I'm new here and I made this set of Nation items. Hope you all like it!